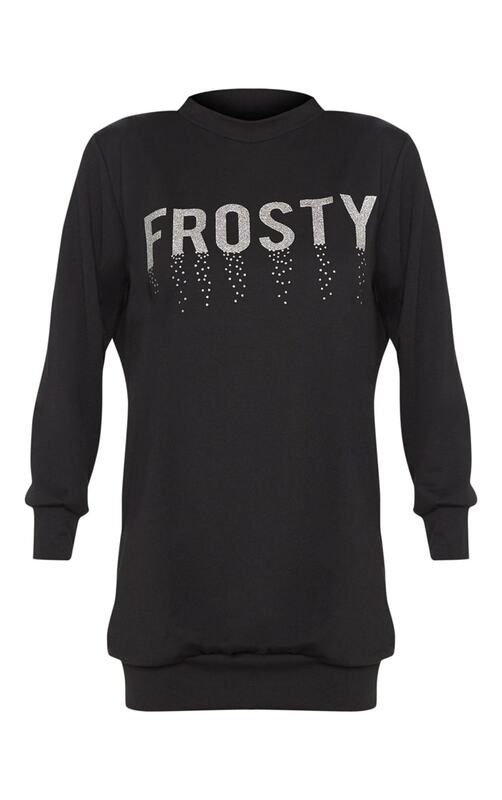 Get ready for the festive season with this sweater dress. 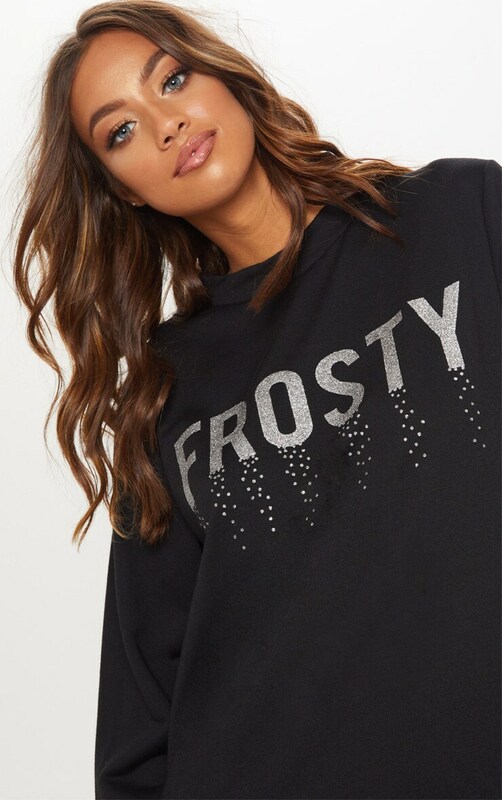 Featuring a black material with a glitter Frosty slogan and an oversized fit. Team this with heeled boots and beanie for an off-duty look we are loving.